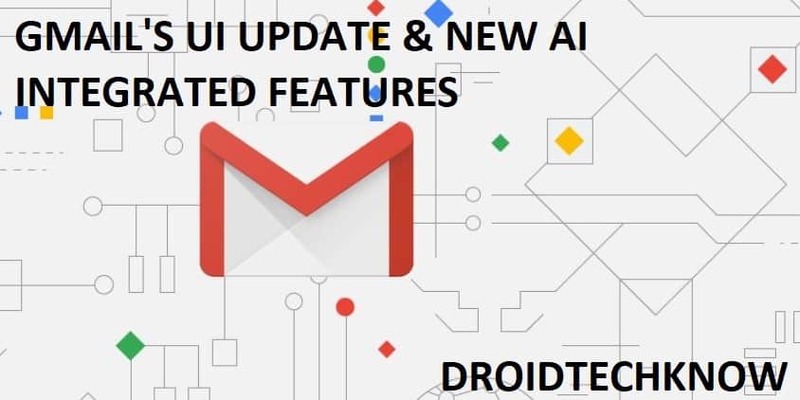 Gmail's UI update has remarkably integrated artificial intelligence post it's Google Duplex announcement. These are the new features which will have you hooked. Several users on social websites claim to never go back to the previous UI. Is the new update that appealing?- you be the judge! Unless you've been off the radar, you know the sensational news of Google announcing it's new Android P and all new Google Duplex, which is already making ripples on many Google's applications. Google is headstrong on buisness game with new intelligent security and text compose features. On the other end of the spectrum, Google it's taking you out of the rabbit hole of smartphone addiction with it's new Android P update, Google is trying to make life easier for you with it's new Gmail's UI. The UI is neater and means serious business. The crisp UI promises the best adaptation of machine learning in predictive text composing- one of its many new features. Boasting about Google Assistant doing the typing for you is news from the stone age. Here's a brief outlook everything new Gmail has to offer. Open Gmail as you usually do. Navigate to settings icon from the top right corner. Click on "Try the new Gmail". You will be greeted with a welcome screen as shown, click on "Next". You have now the option to select from three available themes. Choose the one which appeals the most to you. Communication to be secure is Google's latest agenda for keeping your privacy. The new Built-in Information Rights Management (IRM) will allow only recipients selected by you to print, copy or download the messages that they receive. Google promises to not read your messages for better advertisements targeted at you. The recipient can only view your email with an OTP sent to them(if you wish to make such settings keep reading). You can also set an expiration date to the actions that can be taken on the message received. (Here, expiration doesn't mean the message will be deleted post expiry date.) This is useful when you are sending confidential information like bank statements over email. While composing the message select the icon for confidentiality settings on the bottom right of the compose message box. Select the desired expiration date and OTP settings from "SMS passcode" (if you wish to enable any). Just like your alarm can be put on snooze until you want, you can snooze notifications for new messages until you are ready to attend them. This can be useful when you are on a vacation and need to attend only top priority email as an exception (settings discussed further in this article), this feature is a handful. Hower your mouse on the email to snooze the sender's notifications and select the icon. Select the duration for which you would like to activate snoozing. Note: You can still view the snoozed messages under Inbox tab by the tab name SNOOZED MESSAGES if you wish to. How great is it for someone to finish your sentences? -Google will do that in this case for you with its Machine Learning abilities. Based on your previous input and writing patterns, automatic typing works on a beginners level. The technology giant is still working on this feature but can do the basics glitch-free at the moment. This feature has been around and it still making the best of the room for development and fixes. You must have observed the said on your mobile Gmail application before as well. This guarantees even faster response rate based on predictive and basic response selection. You would see three tabs for appropriate replies to choose from. 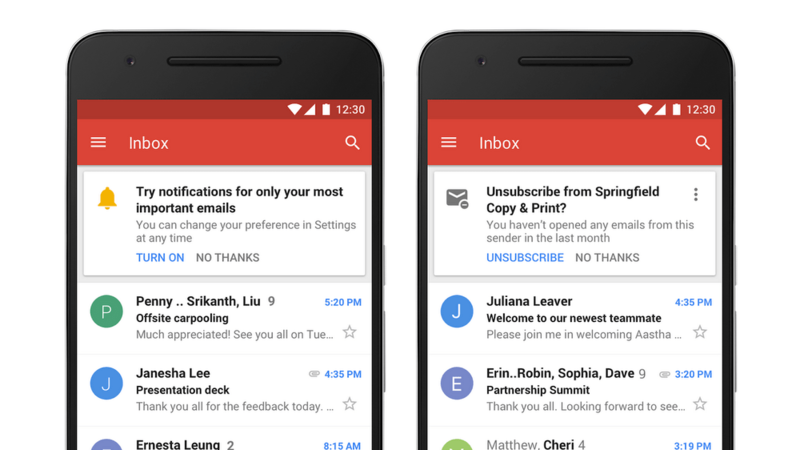 are what you get with the all-new Gmail's UI update. You get alerts for emails you might want to respond to an urgent basis. is managed by Gmail as well so that you don't have to waste time on it. If Gmail detects suspicious emails, it alerts you before proceeding. 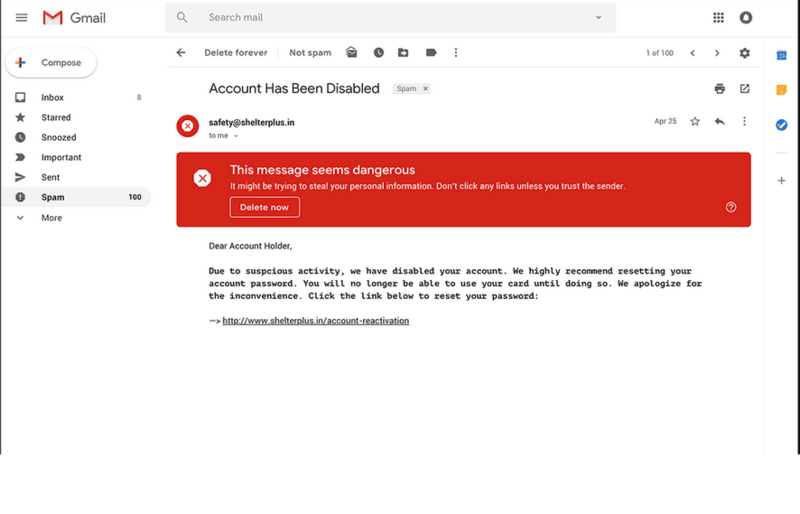 This is an addition which was under trials and tests as to how to classify threats from regular emails separated by a thin lining. Gmail's UI has neater tools for archiving messages, deleting them and what's new to it is snoozing. The new sidebar integrates Google's many applications like Google Keep, Google Calendar, for making a transition between applications in a single window as opposed to multiple operating windows. This is synchronized across all your devices so you never miss a thing. From the G-Suite marketplace, you can many more Google Applications of your interest. If you are away for some time and might have poor network connectivity, you can try out this feature. 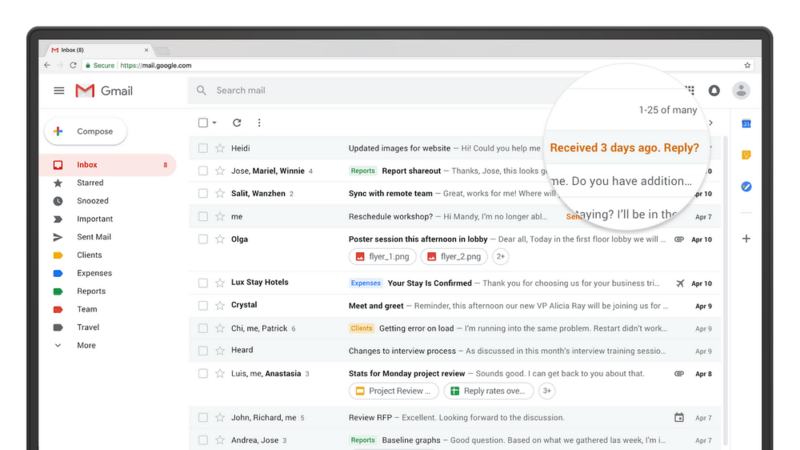 This gives you the liberty to save emails and view them offline. However, this works only when you enter Gmail with its standard URL and not with the ones that redirect you to it. Enable Offline mode using checkmark box. Select how to want to save the data to your device. All these features are still on the verge of crashing, but Google can be trusted to emerge as a leader in the field of innovation and technological advancements as it always dominates the being-a-household-name competition every time. We hope you got something new to learn from this informative article. Share it with ones who might make the best of this information as well!